Do you want saltwater or freshwater? The possibilities for a swim are endless. There are both the Nemi Lake and the Albano Lake not far away from the house. You can also reach the nearest beach in just 30 minutes drive. In the following we will describe the opportunities we know best. You drive down to the Nemi Lake, either through Nemi or Genzano. There are limited opportunities to swim, but the water is very clear and clean. Anzio is a bigger city with some beach opportunities. Go to Anzio if it is not just about beaches, but also about a small city tour with shopping and café visits. 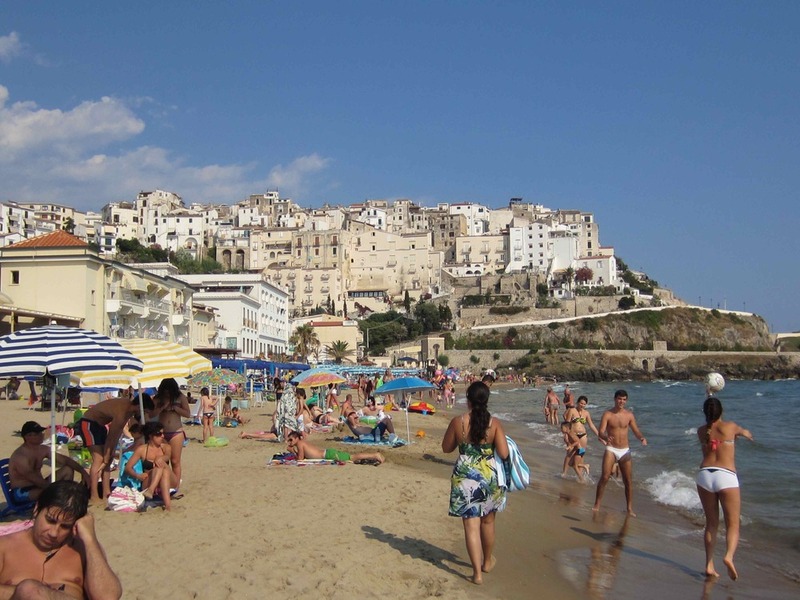 Sperlonga is one of Italy’s finest beaches. The neighbor lake is at Castel Gondolfo. The lake is even larger than the Nemi Lake and significantly more developed with beach facilities. You can rent canoes, kayaks, water bikes etc. There are many bars and restaurants in the area. Large public beach without paying. Large sand dunes, almost similar to the west coast in Denmark. Torvianica is the closest beach to Villalba – about 30 minutes drive. You will find many different beaches out here, just pick one. Our absolute favorite beach. Here you will find everything – nice beach, great water, great restaurants and beautiful views.